Hello friends! 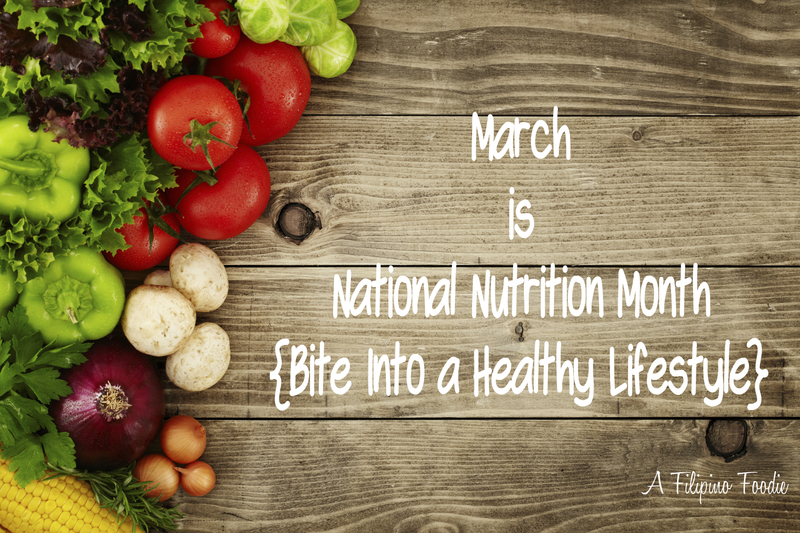 As always, Happy National Nutrition Month! Once again, I’ve left our annual Alabama Dietetic Association meeting recharged and excited about learning new ideas and catching up with old colleagues and friends. 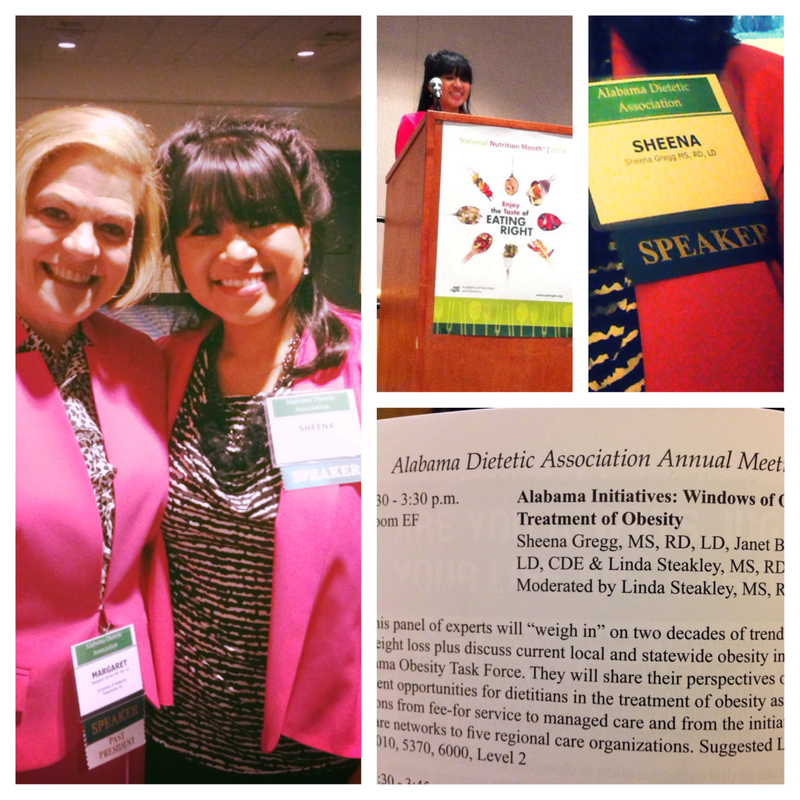 This was an extra exciting year for me to participate not only as an attendee but also as a speaker in one of the breakout sessions to share the efforts of the Alabama Obesity Task Force that you might remember me mentioning last year. 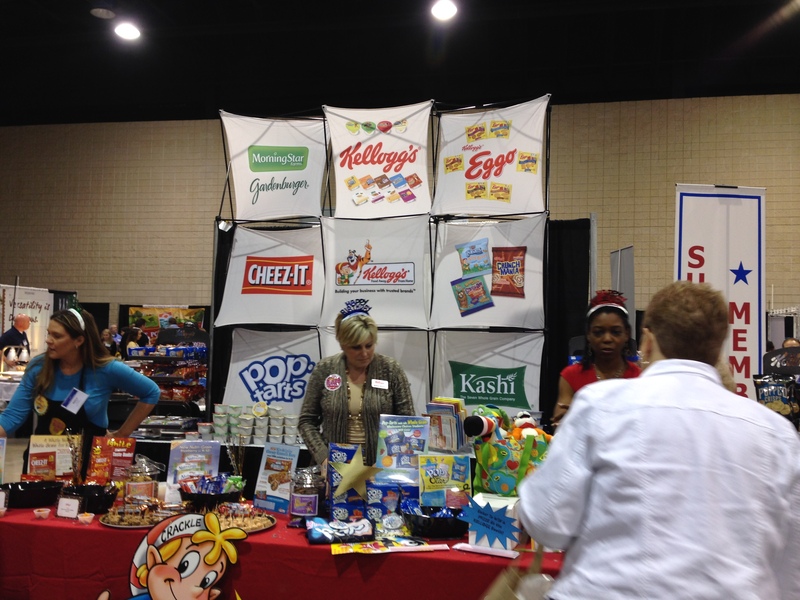 I’m excited for my upcoming posts, especially since I’ll be talking in detail about some of the yummy and interesting items I found at the Food and Nutrition Expo geared towards our school nutrition folks. I honestly probably ate my weight in commercially prepared whole grain pizza and pastas. 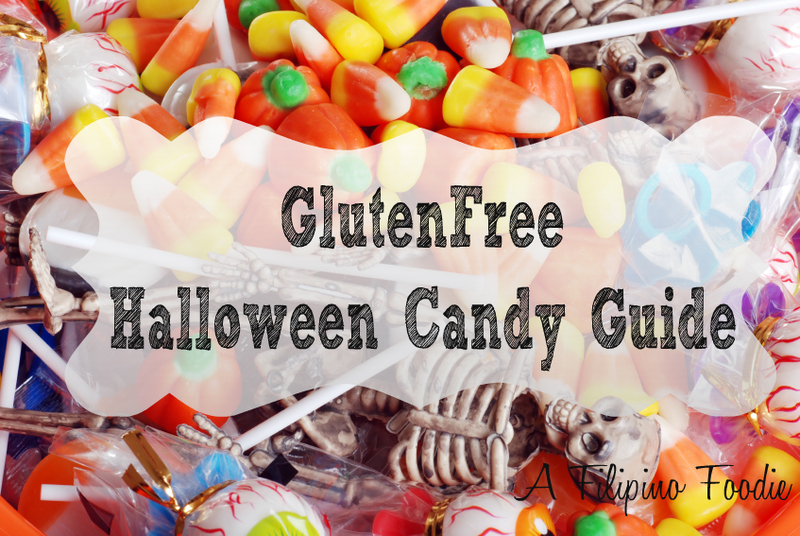 All of the different products out to meet the USDA school nutrition guidelines blew my mind and made me wish we had some of these products when I was in school. Another highlight of the meeting was getting to listen to and meet Kathleen Zelman, registered dietitian and Nutrition Director for WebMD. After meeting Ellie Krieger in the fall, I feel like my bucket list of meeting all-star dietitians is slowly but surely getting checked off. 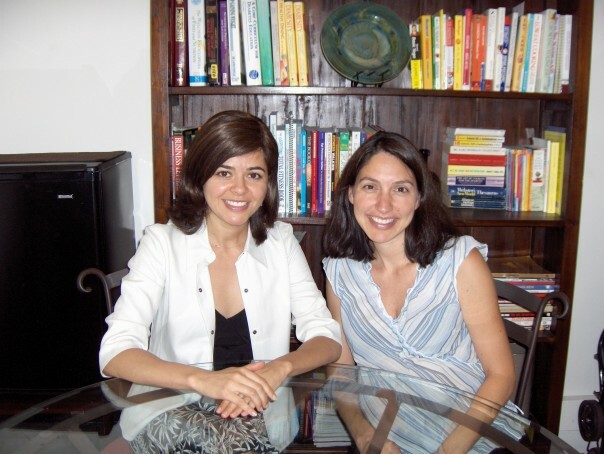 I loved Kathleen’s inspiration and reminder that as a dietitian, we live in a world where we are constantly competing with the pretty and famous about nutrition advice. 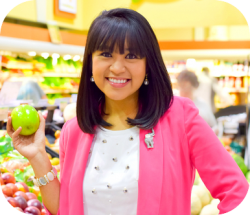 As a registered dietitian, we definitely have to stand our ground as the most qualified in providing nutrition advice. I could go on my personal soap box about this so I am glad that Kathleen reminded both students and seasoned RDs about this. 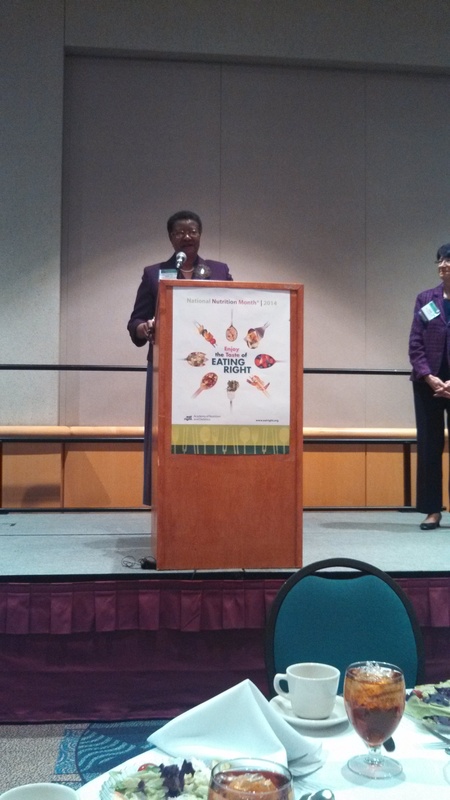 Last, but not least, our state association was able to celebrate Alabama’s very own, Evelyn Crayton, Ed.D, RD,LD as newly elected president-elect of the Academy of Nutrition and Dietetics. 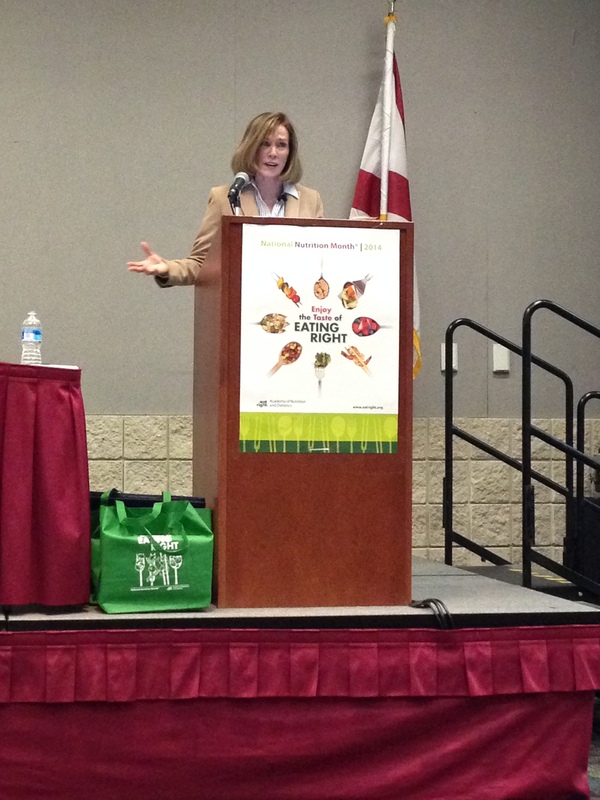 Super proud to be a dietitian in Alabama…such an exciting time for our state!